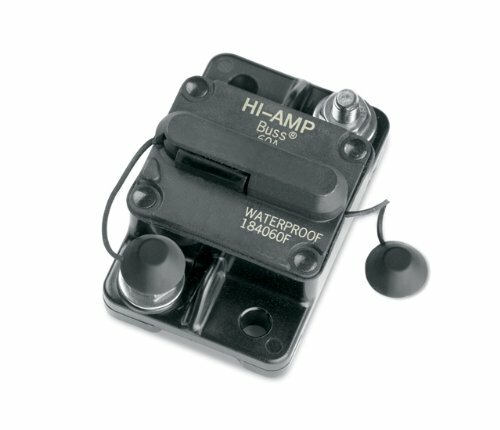 Circuit Breaker - MKR-19--Protects trolling motor from electrical damage. 60 amp rating with manual reset. Fully waterproof. Compatible with all 12-, 24- and 36-volt systems. If you have any questions about this product by Johnson Outdoors, contact us by completing and submitting the form below. If you are looking for a specif part number, please include it with your message.